Today is Mickey’s birthday, isn’t it? Well, now days the birthday is considered to be November 18, 1928, the day of the "Steamboat Willie" premiere. But according to the daily newspaper strips in 1935, September 28 is the big day! The ad is accompanied with a short article, telling us there will be a birthday party in the comic strip September 28th. And then the article goes on with a lot of bragging, so this is probably written by Disney’s publicity department. The scans below are from Sarasota Herald, September 26, 1935. 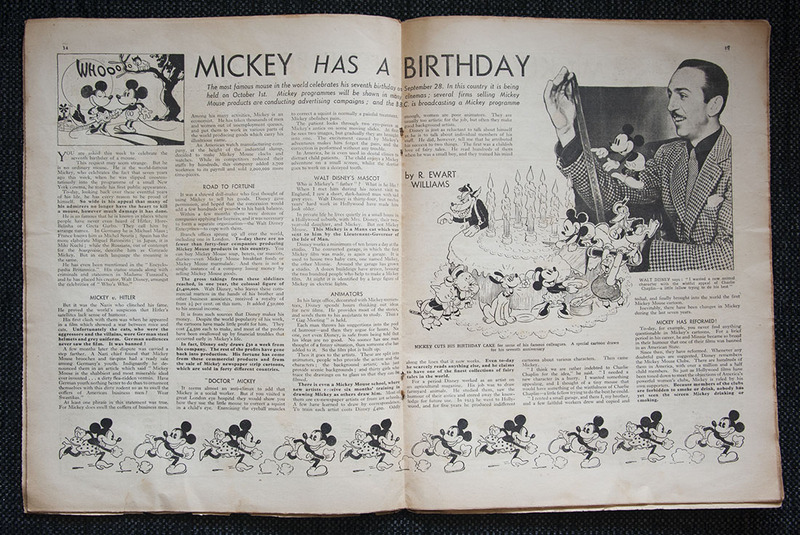 The birthday party is made as an epilog of the Gottfredson story "Race for Riches" (found in the Floyd Gottfredson Library vol.3). The story pretty much ends September 26., and the next strip takes place sometime later when Mickey & Co. is back home again. 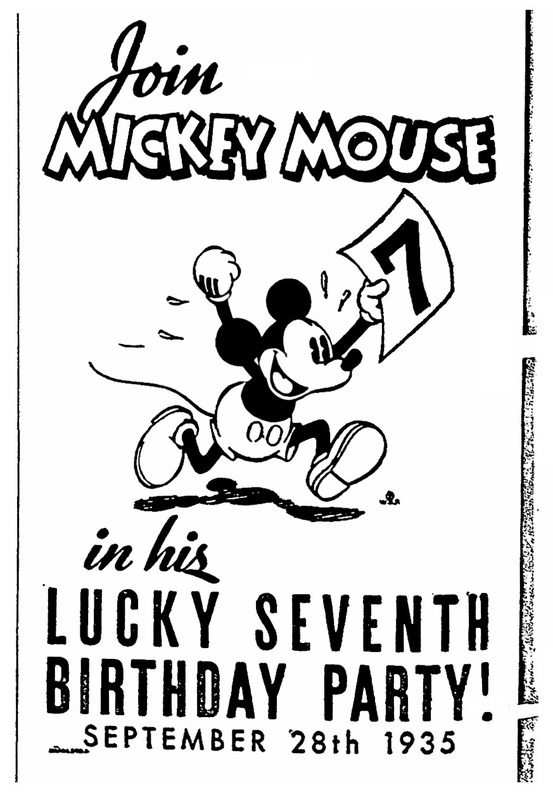 We can see Mickey hinting about his party at the end of the September 27 strip. And then on September 28, we finally get the big party. I’ve tried to do a little research into why they used this date. Is it a story behind, or did they just randomly choose one. Maybe it’s simply because "Race for Riches" ended at this point, and a comic strip celebration could be done in-between the next daily strip serial. 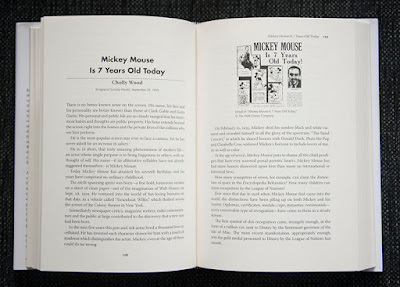 I got some clues in "A Mickey Mouse Reader", which I bought earlier this year. 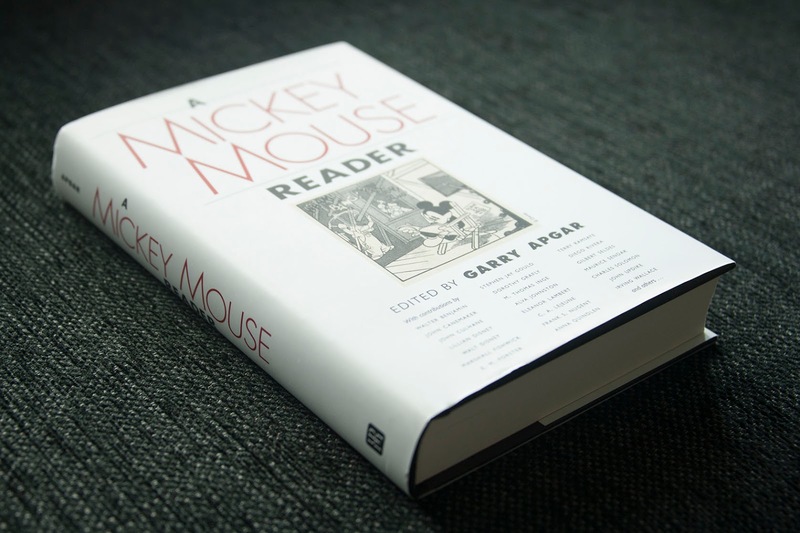 It’s a great collection of essays about Mickey Mouse, and highly recommended! On pg.4 we can read "Animation on Steamboat Willie was completed by late August 1928. The soundtrack was recorded on September 30th. Which is why, throughout the 1930s, the studio fêted Mickey’s birthday on or about October 1st. 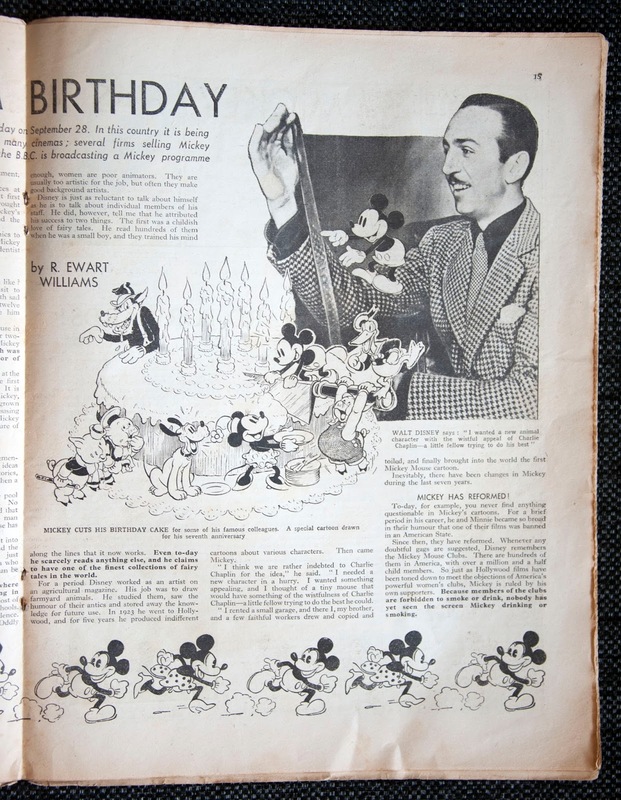 In the 1970s, The Walt Disney Company began celebrating the event on November 18th, since it was on that date in 1928 that Willie premiered […]"
On pg.128 in the same book, there’s a transcript from an article by Cholly Wood titled "Mickey Mouse is 7 Years Old Today". 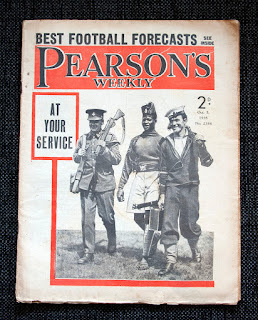 It was originally printed in Bridgeport Sunday Herald, September 29, 1935. I.e. the day after the birthday comic strip. 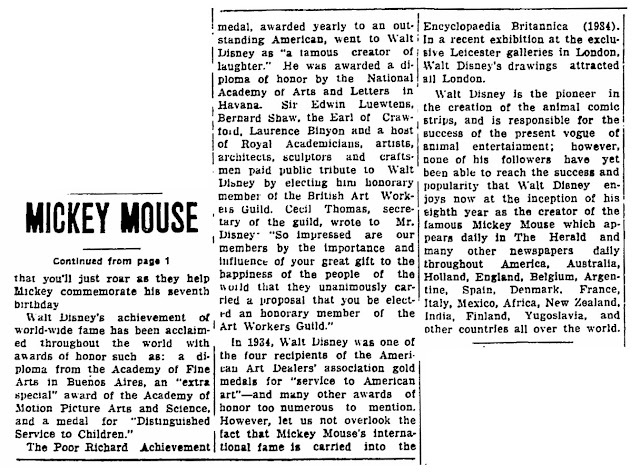 About Mickey Mouse, the article say "The earth-spanning sprite was born—a few bold, humorous strokes on a sheet of clean paper—out of the imagination of Walt Disney, on Sept. 28, 1929"
I don’t know if 1929 is a typo in the transcript or in the original article, but it should probably be 1928. Or Mickey would be 6 years and not 7 as the title says. But still, we know that this is not true. 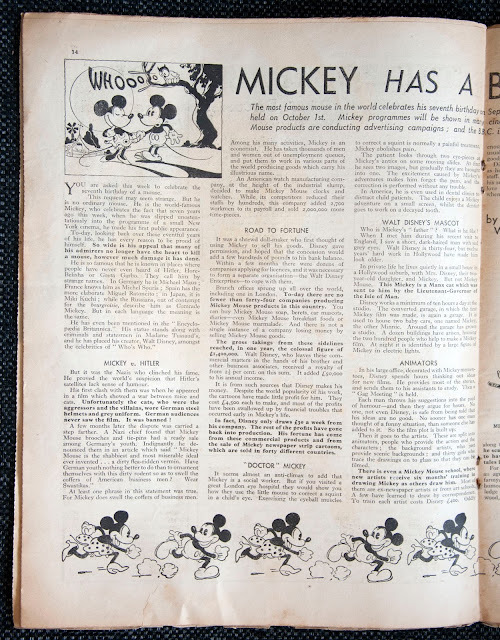 Work on Plane Crazy (with Mickey) was done in the early 1928, and according to various Walt Disney biographies, he got the idea for Mickey during a train ride in 1927. And who actually did the character design for Mickey Mouse has been the subject for debate, some sources suggest it was mostly Ub Iwerks. But I’m not going to go more into that here. It would be interesting to know what source Cholly Wood had for the date "September 28" though. But I suspect it's just from a 1935 press release similar to the piece that was printed in Sarasota Herald. Also, while doing some searching in online newspaper archives I found this article in The Ledger, September 10, 1978. 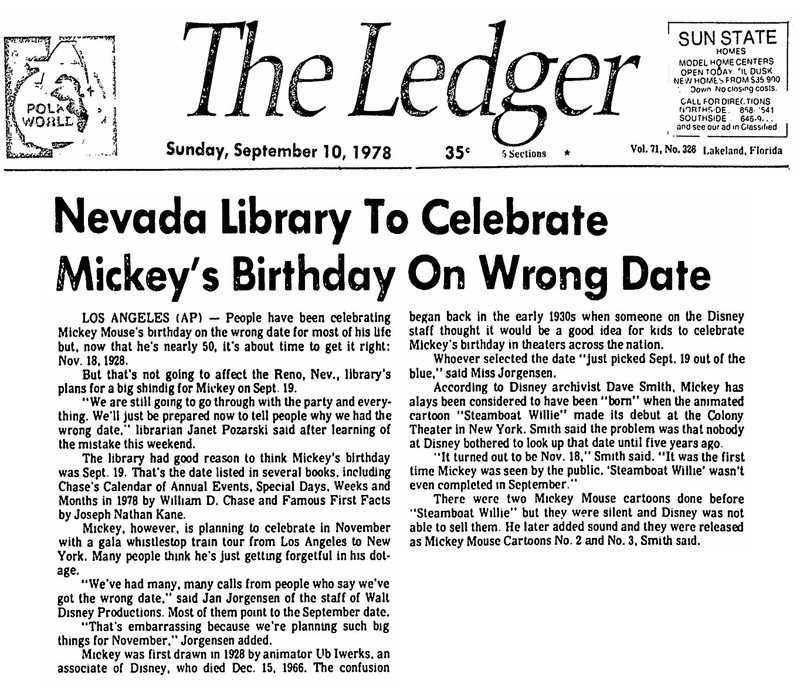 Up to this date Nevada Library had been celebrating the birthday on September 19th. 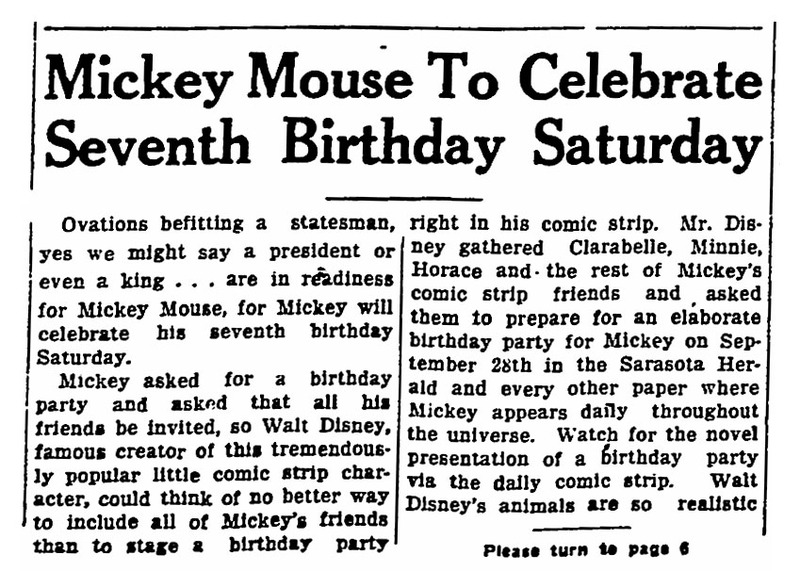 If anyone know more about this, or can point me to sources for information about the celebration of Mickey’s birthday, please make a comment! 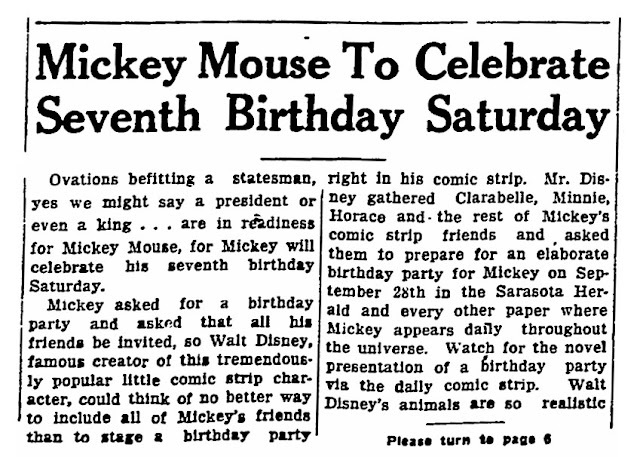 Mickey's 7th birthday was not only celebrated in the USA and in the newspaper strip. 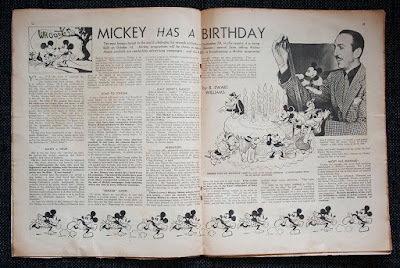 The British magazine Person's Weekly had a two page article about Mickey's birtdhay in the October 5, 1935 issue. 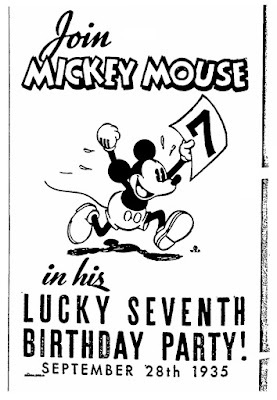 The most famous mouse in the world celebrates his seventh birthday on September 28. In this country it is being held on October 1st. Mickey programmes will be shown in many cinemas; several firms selling Mickey Mouse products are conducting campaigns; and the B.B.C. is broadcasting a Mickey programme. So it sounds like a big celebration was held in the U.K. October 1st, 1935. I wonder if a surviving recording of the BBC program exists, that would be fun to hear! Thanks very much for your recent mention and recommendation of my anthology, "A Mickey Mouse Reader." In chapter 3 of my forthcoming book "Mickey Mouse: Emblem of the American Spirit," due out on October 20th, I go into considerable detail about the recording of the soundtrack for "Steamboat Willie" in late September 1928, capped by an exhausting session in the wee small hours of Sunday, the 30th. In the second Mickey Mouse cartoon, "The Gallopin’ Gaucho," Mickey drinks beer and smokes cigarettes as well. 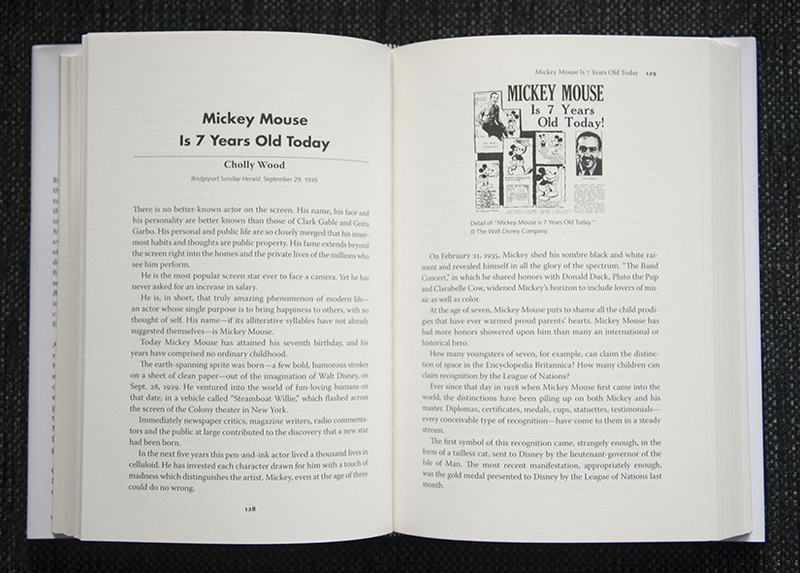 An illustration on p. 91 of my new Mickey book shows him indulging in the latter. The above comment ended up on the Grandpa Beagle page, so I moved it here.